At Ryan Giggs’s house there are no visible pointers to a two-decade career at Manchester United, nothing to remind him of the things he did. Now, as we approach the final furlong of another football season, it’s time for those memories to be jogged. In May, it will be two decades since Giggs and United put indelible ticks in three very big boxes at the same time. Champions League, Premier League and FA Cup. The Treble. Never done before and never done since. Reflecting from a distance of 20 years on epic victories over Arsenal in the FA Cup and Bayern Munich at the Nou Camp seems strange. 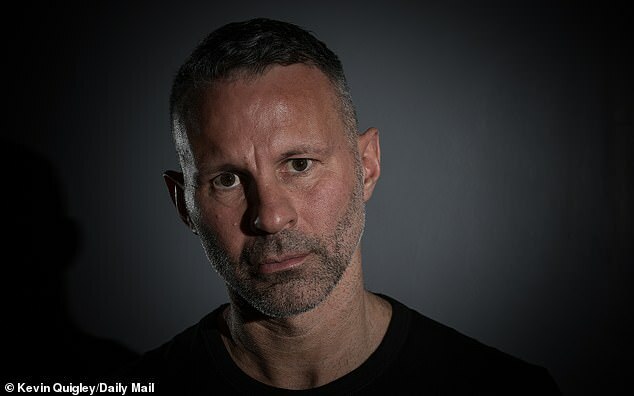 Giggs does not look 20 years older, for example. He is 45 but carries no extra weight, the only nod to middle age being a few grey flecks and a stiffness in his neck that he stretches as he talks. ‘I am really proud of the Treble now,’ he nodded last week. ‘I understood what it meant at the time because it was so hard to do. It was such a roller coaster. But I can reflect on it properly now. If it still hurts in north London, one can only imagine how Giggs, Ole Gunnar Solskjaer, Teddy Sheringham and the rest are remembered in Bavaria. One of the most memorable weeks of Giggs’s remarkable career was shaped by two interventions from Sir Alex Ferguson. The first one, on April 7 1999, was an old- fashioned rollicking as United trailed 1-0 at half-time of their Champions League semi-final first leg at home to Juventus. Ferguson tore into Giggs and David Beckham, claiming they weren’t working hard enough. 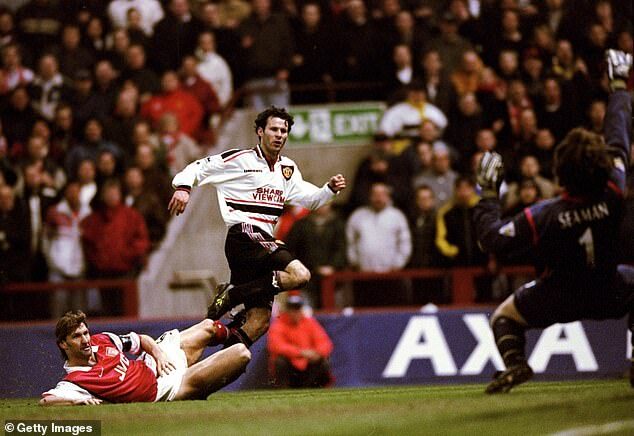 In the last minute of the game, Giggs scored the equaliser. Five days later, as United prepared for what proved to be a seismic FA Cup semi-final replay against Arsenal at Villa Park, Giggs found himself in Ferguson’s office. ‘He told me I wasn’t playing how he wanted,’ said Giggs. ‘The boss said he wanted me to remember what I was good at, that I had drifted away from that. 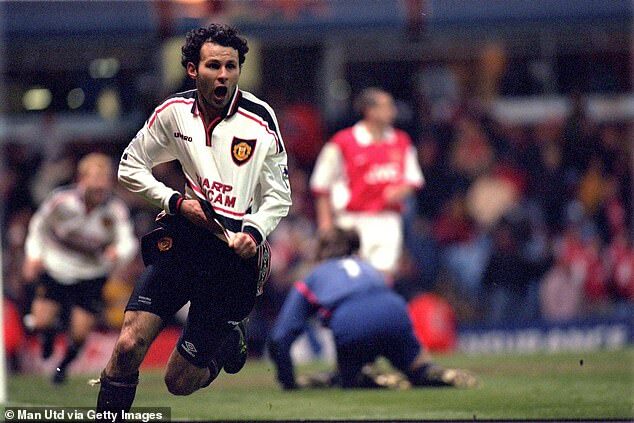 The upshot was one of the greatest goals in FA Cup history, Giggs slicing a 60-yard gash in the Arsenal defence to score the winner of a titanic game in extra time. A substitute that night, he hadn’t even played very well. ‘I kept giving the ball away,’ he said. ‘So I went back to instinct. I ran. At the time I thought the goal was OK. Only later did I realise how far out I was when I got the ball. Arsene Wenger’s Arsenal side had won the Double the previous season and started 1998-99 by beating United 3-0 in the Charity Shield and the Premier League. United’s rivalry with Arsenal ran deep. Deeper perhaps than we even realised. ‘I didn’t like Arsenal,’ Giggs said without blinking. ‘I didn’t like Vieira ’cos he was dirty and got away with murder. I didn’t like Petit because he had long hair. I didn’t like Bergkamp. ‘I didn’t like Pires even though when you meet him now he’s actually dead nice. I wouldn’t even look at them, didn’t know them and didn’t want to. I wouldn’t allow myself to rate any of them. United won the Premier League by a point from Arsenal, having not lost a single game in any competition since December 19. But their relationship with their London rivals was at its most visceral that night in Birmingham in the Cup. Keane described his battle with Petit and Vieira as ‘a war’ and was sent off. 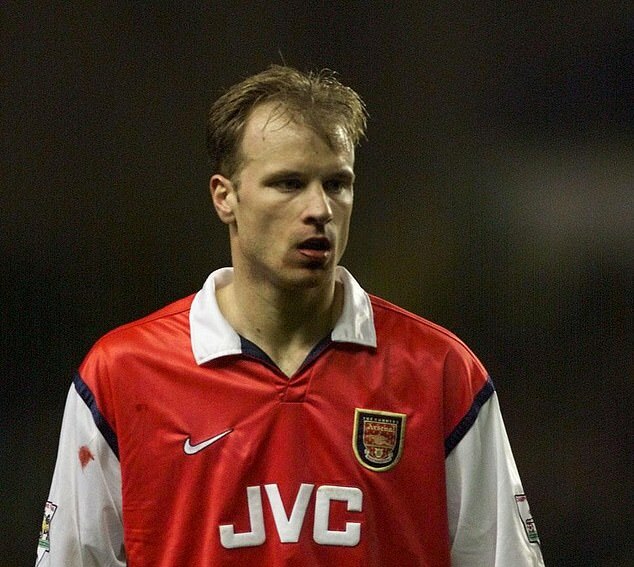 Bergkamp missed a penalty in the last minute of normal time. Yet afterwards Tony Adams and Lee Dixon waited by the United dressing room to offer congratulations. The game was ultimately won by goals from Beckham and Giggs. This was fitting given that Beckham had also been called in for a little gee-up by his manager the previous week. Great man-management or lucky coincidence? ‘It’s hard to say but he regularly picked me and Becks out for a rollicking,’ said Giggs. ‘I think it was because he knew we wouldn’t sulk for long and he would get a reaction on the pitch. ‘But he was making an example of us too, definitely. We always got it more often than the rest. One pre-season in America he went for me in front of everyone. I was fuming and pulled him later. United’s return to European eminence had been a slow-burn. For some — Keane among them — the legacy of the 1968 European Cup-winning team weighed heavily. For others, like Cantona, the wait for Continental glory simply went on too long. 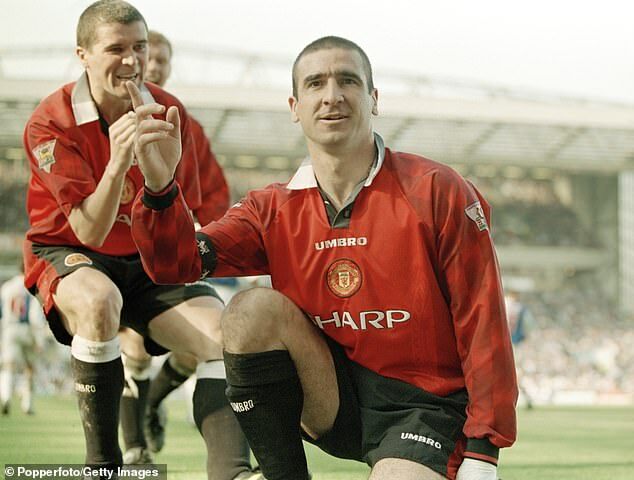 It was Cantona who, at occasional midday drinking sessions at the Bull’s Head in Hale, had told the attendant Giggs and Gary Neville two seasons earlier that they were good enough to win the Champions League. They didn’t always believe him. Neville, for example, thought it a task ‘as high as Everest’ and 10 minutes from the end of the final in Barcelona, United were still in the foothills. Cantona was long gone, retired prematurely after the 1997 campaign ended in semi-final defeat, but it transpired that United had other saviours against Bayern. Keane has said the first time he saw Solskjaer at United’s training ground in 1996 he thought he was a teenage fan. Giggs’ memories are equally vivid. ‘I remember the first shooting practice we had,’ recalled Giggs. ‘I had never heard of the guy but I was like, “f****** hell, who is this?”. United needed something special that night in Spain. Leggy after their jousts with Arsenal and missing the suspended Keane and Paul Scholes, they trailed Bayern by a goal deep into a poor game. Giggs played on the right with Beckham moved to the centre. Giggs has for years feigned indifference but admits now he felt slighted. ‘There is a bit of me — and I don’t think I have said this before — that felt I should have been playing centre mid,’ he said. ‘It was between me and Becks and I felt I could have affected it more. I was a little bit, “I am in the wrong position here”. But that’s no excuse. We knew we could make history or fail and with 10 minutes to go I just thought it was gone. Nightmare. Ferguson maintains that Giggs’ constant running at Bayern left back Michael Tarnat was one of the reasons the Germans succumbed, exhausted, to United’s unlikely late charge. Giggs had scored the first goal of United’s European season, in an August qualifier against LKS Lodz. Now, 287 days, 62 games and 27 United European goals later, he swung his foot at a ball on the edge of the penalty area. He has rarely struck a ball less well. It was a shank. But Teddy Sheringham turned that shank into the goal to equalise. Two minutes later, Solskjaer struck from a corner to win the game. Years later, former United defender Rio Ferdinand described his first day at the club three summers after the Treble win. Miscontrolling a ball fired at him deliberately hard by Keane, a voice chirped up. ‘Is this all you get for £30million these days?’ It was Solskjaer. ‘See, he’s not the nicest bloke in the world like people say he is and that’s because we rubbed off on him,’ smiled Giggs. A strange footnote to that night in Barcelona is this. Before the start of that season, United agreed to sell Solskjaer to Tottenham for £5.5m. The Norwegian said no. Neville, meanwhile, wrote of four great cornerstones of the modern United. Busby, Charlton, Ferguson and Giggs. Not Best or Robson or Cantona or Ronaldo. But Giggs. Once all this would have made Giggs uncomfortable. Now, less so. His sporting heart still beats to the rhythm of the collective but he appreciates exactly what he did. ‘Look,’ he said. ‘To be separated like that from all the other great United players... for me that’s hard to say it’s right. But I will say this. United was my life, nothing else. Mostly it was appreciated and just occasionally it wasn’t. The player Sir Bobby Charlton said ‘made me catch my breath’ claims he never received a single offer to leave United. ‘Nobody else wanted me,’ Giggs laughed. But that’s not to say it was always a given that he would remain a one-club man. For Giggs, season 2002-03 was particularly difficult. Struggling for form, he was booed by his own supporters. ‘We were in Amsterdam pre-season and it was Carlos Queiroz’s first as coach,’ he recalled. ‘He comes to my room. I have known him a week. He says, “Where is the world-famous Ryan Giggs I have seen on TV?”. I am like, “who the f*** is this?”. Then the penny dropped. The manager had sent him. ‘It was tough. The season before I had been only OK. I was transferring from winger to midfielder. 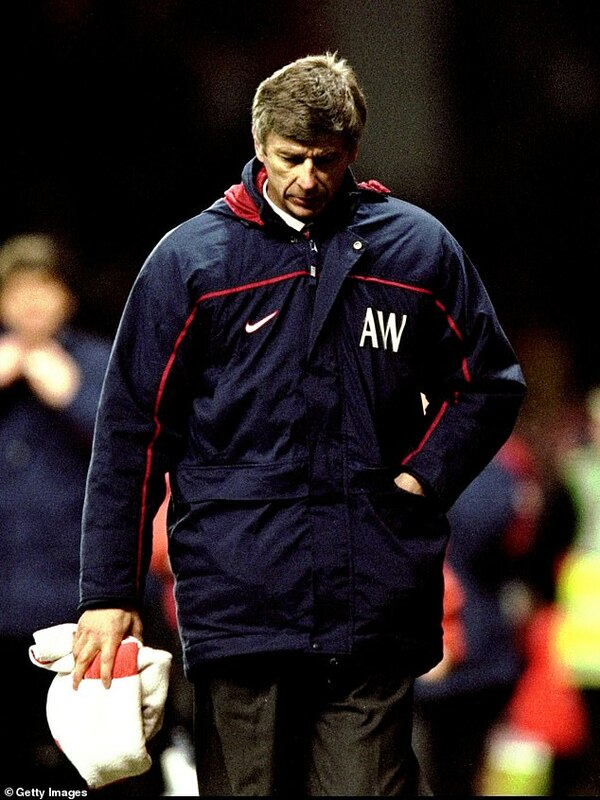 ‘Then early 2003 against Blackburn in the League Cup I get taken off and it started: the boos and the jeers. It did hurt a bit. They were our fans. I had grown up with them. But I was quite critical of myself and knew I hadn’t been great. Europe provided salvation once more that season. Juventus again. United won 3-0 in Turin in February 2003 and Giggs scored twice. He also scored the decisive penalty in their Champions League shoot-out win over Chelsea in 2008. 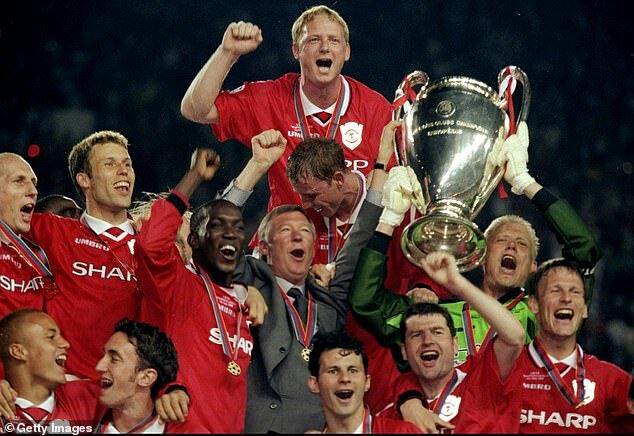 But nothing can really equal the Treble of 1999. Of the 34 trophies Giggs won at Old Trafford, those three are arguably the most significant. This season a problem looms large. Pep Guardiola’s Manchester City are still in all four major competitions. Would it matter if they won a Treble, too?